Posted on Mar 26, 2019. Louisville, Kentucky (March 26, 2019) – Applications are now open for the Leadership Louisville Class of 2020, the 41st class of the nationally-recognized community leadership program. Since 1979, Leadership Louisville has ensured that the community’s most influential and esteemed leaders are knowledgeable about issues, well networked and passionate about the success of the region. Many of the most dynamic leaders from all fields apply each year for the 10-month experience and only about 60 are selected to build a class representing the diversity of the community. Participants are immersed in an active learning experience, diving into our community’s history, assets and challenges, emerging ready to create positive change alongside a network of fellow influencers and decision-makers. Applications are open through May 13, 2019. Complete program and application details are available at www.leadershiplouisville.org. For more information, contact Aimee Jewell at (502) 561-5221 or ajewell@leadershiplouisville.org. About Leadership Louisville: Leadership Louisville is a transformational experience for both the participants and the organization they serve. Class members commit one day a month to exploring the community and discovering what makes it distinctive, including government, education, economic development, social services and the arts. Throughout the 10-month program, participants go on exclusive tours and have hands-on experiences, all with area leaders who take on our community’s biggest challenges every day. Armed with new knowledge, connections and perspectives, Leadership Louisville graduates are prepared to take their places as effective community leaders. 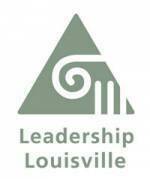 See a list of 40 years of Leadership Louisville graduates. Visit www.leadershiplouisville.org/leadership-louisville/ for more program details. The Leadership Louisville Center is the region’s most valuable resource for leadership development and civic engagement. With a purpose to inspire and equip leaders to be better and do better, it has graduated over 10,000 through its civic programs since 1979. The Center is recognized as a national best practice and is known for its dynamic programming and strong community connections. Programming includes five social impact leadership programs (Leadership Louisville, Focus Louisville, Ignite Louisville, Bingham Fellows, and Encore Louisville), leadership skills training courses presented through the Leadership Green Room, and events designed to connect leaders and motivate positive change. Learn more at www.leadershiplouisville.org. Know someone who should be in the next class?